Legends of metal, STRYPER LIVE at Paparazzi OBX! Kitty Hawk, NC! 21+ w/ valid ID to drink. VIP Premium Seating Options Available! 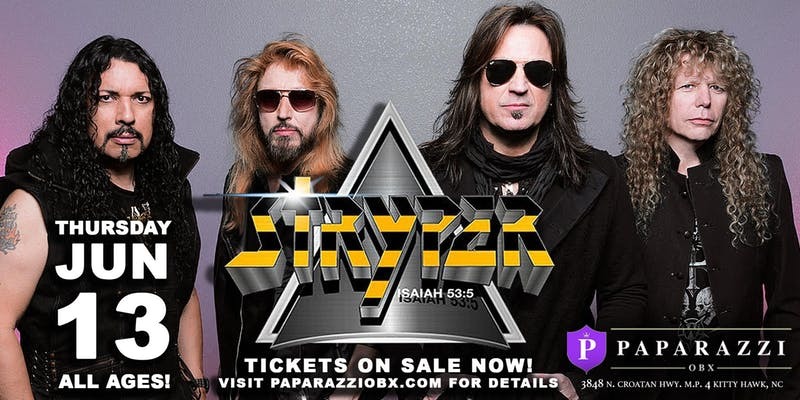 For STRYPER Meet and Greet Packages, please visit stryper.com. One of the top Christian rock bands of all-time and certainly the most celebrated Christian metal band of all time!